On a personal level, we weren’t ready for snow yet. We were longing for beautiful autumn days, which we never really had this fall. But our cool fall suddenly turned into an early winter, so we revved up the Pisten Bully and groomed the Summer Home Road ski trail. Local skiers have been out almost every day and the trail is surprisingly good for the middle of November, a time when we are normally hiking, not skiing. Summer Home has been groomed twice. It’s nothing like it will be after we get a few more normal snowfalls, but if you want to get out and try early skiing, we’re open for you. 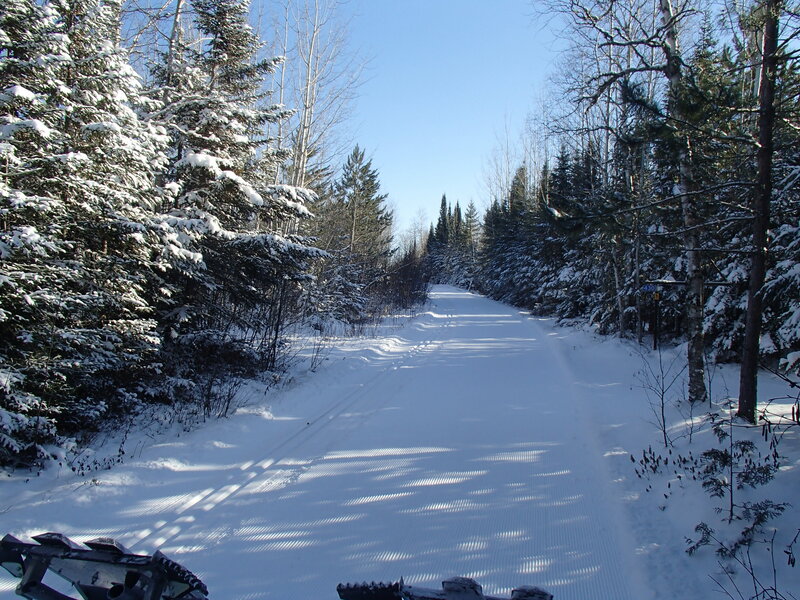 Season passes for the Central Gunflint Trail system are available at both Bearskin Lodge and Golden Eagle. 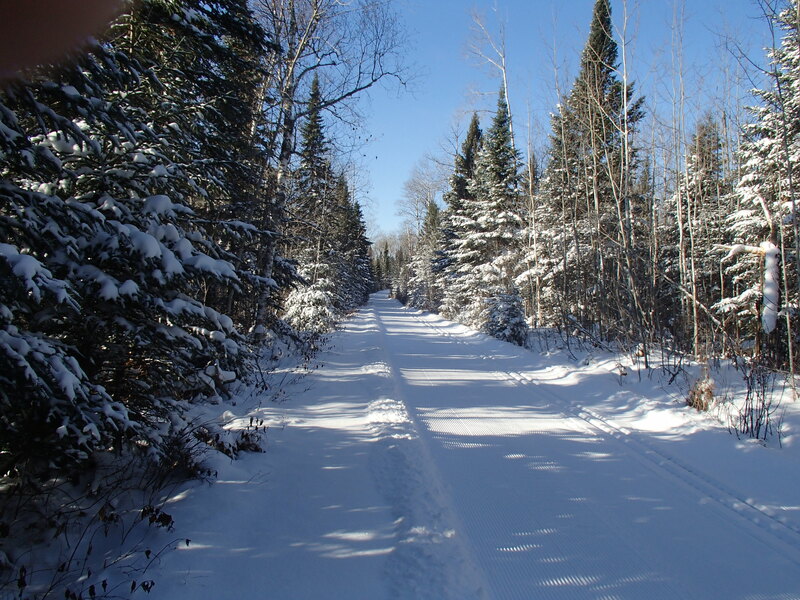 At this point we aren’t charging for daily passes yet, but stop in at Bearskin and sign a ski waiver if you’ll be out on the trail. Given how cold it has been for the entire fall, we would be very surprised if this snow melts. Winter is here. 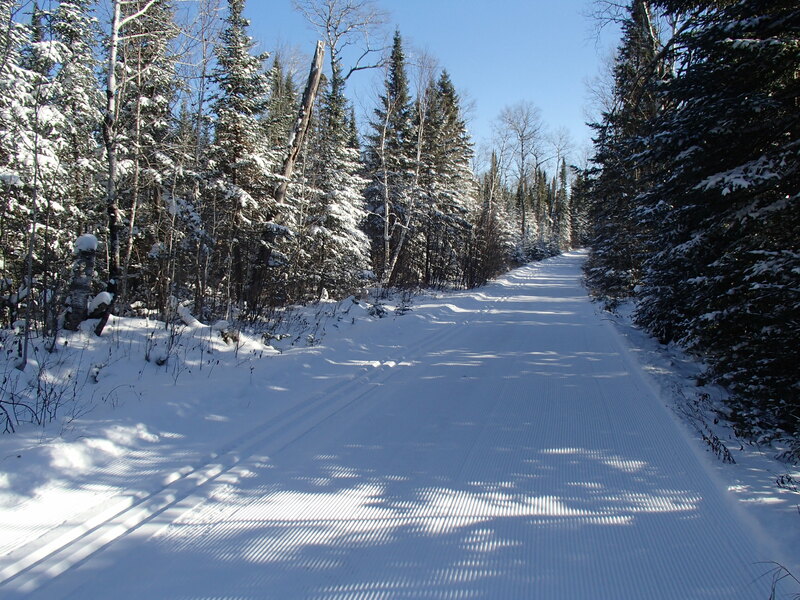 What’s the next section of XC ski trail you expect to groom and how much additional snow do you need to groom it? Thanks. There are boulders the size of a refrigerator on some of those trails, so it will take a lot more snow. Also, many of the trails cross moving water or very wet spots that never freeze enough to groom over until late in December. Summer Home and Campground open first because the surface is flat, and there is no water. We are rolling and packing all the trails now. Usually, the next trail to open is Beaver Dam. We’ll see. We seem to get a little snow every day and we have a forecast for big snow coming up.